Product #60841 | SKU XSW-D PORTABLE LAVALIER SET | 0.0 (no ratings yet) Thanks for your rating! The set offers the highly popular ME2-II omnidirectional lavalier microphone along with a bodypack transmitter and a camera-mount receiver, both featuring lightweight, miniature housings. 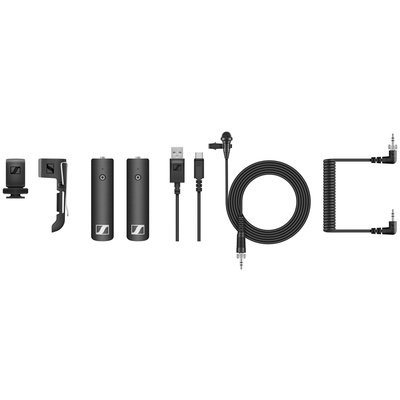 The system connects to a DSLR, camcorder, or a tablet/smartphone (with additional adapter) to capture crisp-sounding interviews or dialogue for video shoots. The ever-popular ME2-II lavalier microphone delivers a natural sound optimised for speech intelligibility. Its omnidirectional polar pattern ensures that the sound remains consistent, even when the talent's head moves away from the mic.